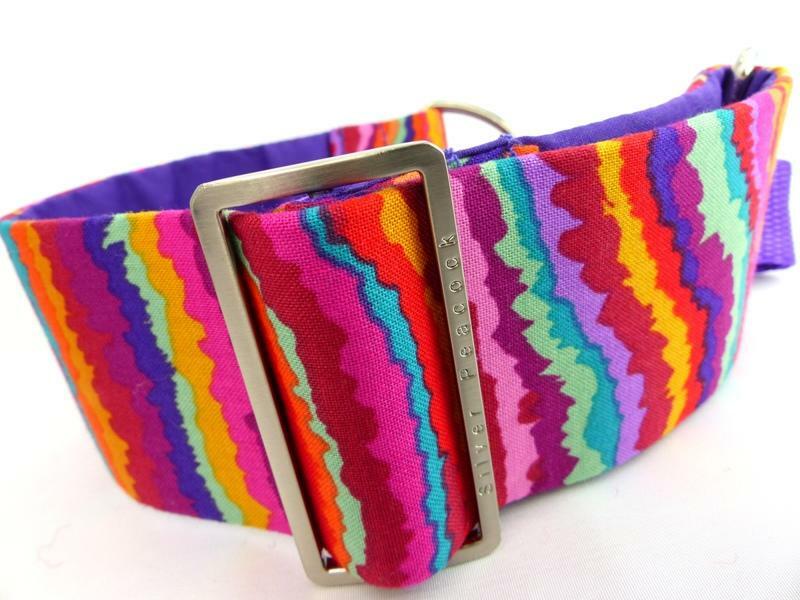 A super funky, bright, bright, bright set of collars, not for the shrinking violet! This is a quality Kaffe Fassett designed, 100% cotton printed design of irregular bright stripes, and if the fabric falls that way the odd circle, all in an amazing array of colours including purple; gold; orange; pink; turquoise; burgundy and greens. 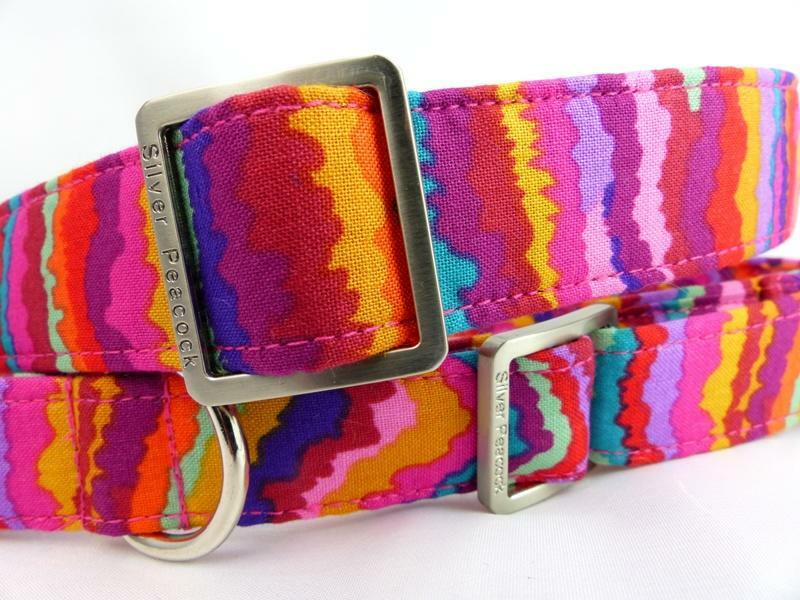 This collar would look stunning on just about any colour of hound but would complement brindles superbly! 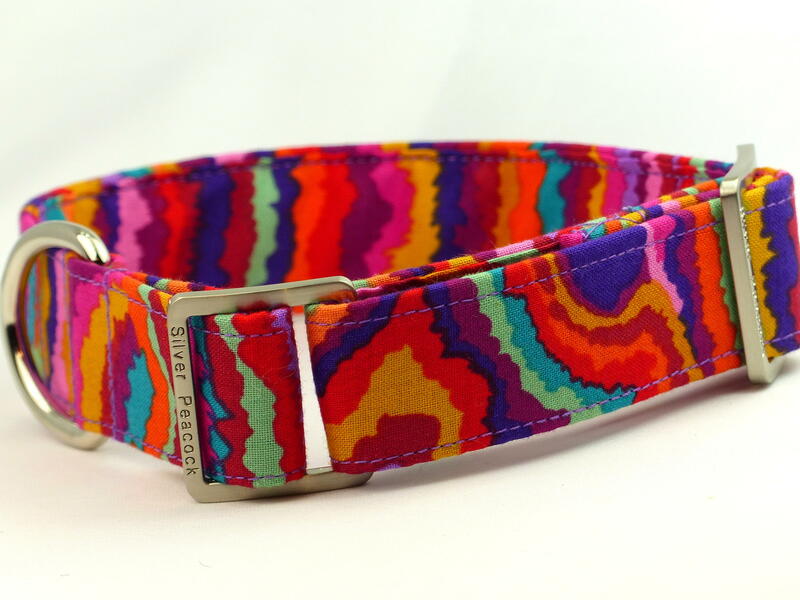 The collars are lined in complementary purple fabric and are finished with robust silver coloured hardware.